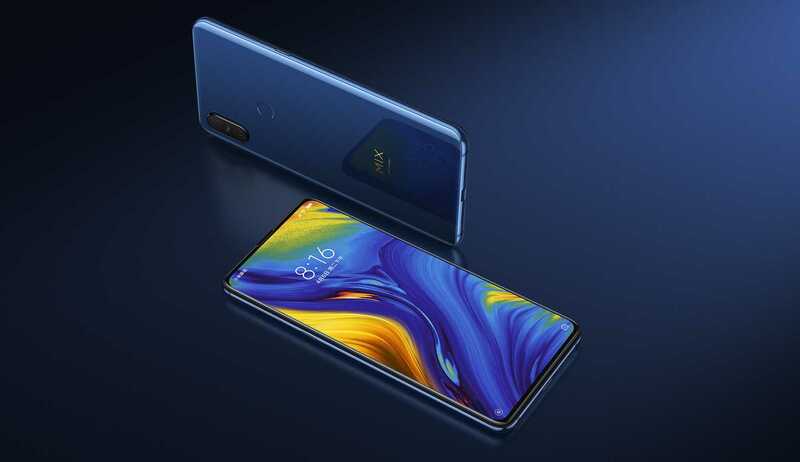 In what was the company’s effort to show to the world how far it is willing to push the boundaries of what is possible, Xiaomi unveiled the Mi MIX as the first “bezel-less” smartphone. This happened towards the end of 2016 in what has turned out to be a defining moment in the smartphone industry. Fast forward to late 2018 and we have plenty of smartphones that went down the bezel-less route and in the process ended up with a divisive notched display screen, Xiaomi included. 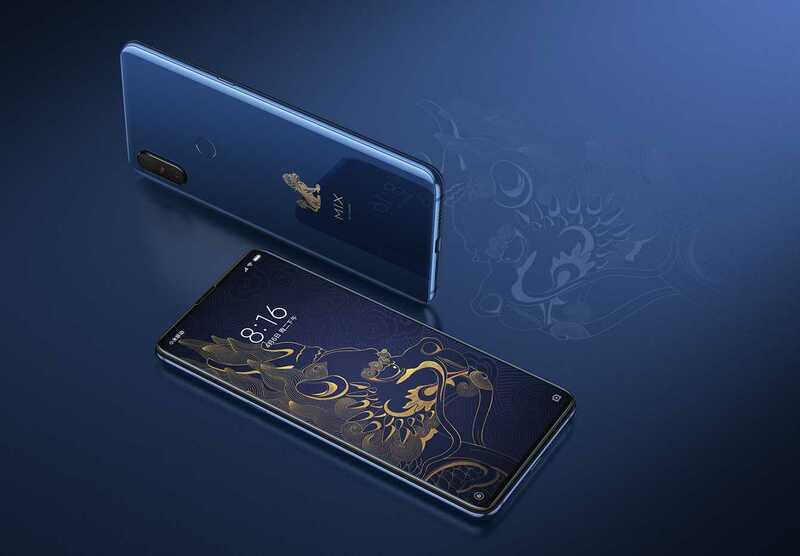 However, the Mi MIX series remains unique and in the latest Xiaomi Mi MIX 3, you have a device that truly merges technology and art to deliver what is Xiaomi’s ultimate smartphone of the year. Extras: Bluetooth 5.0, USB-C, Rear-mounted FPS, Quick Charge 4.0+, Wireless charging, 4G LTE NFC, AAC/aptX/aptX-HD Audio, etc. Extras: Bluetooth 5.0, USB-C, Rear-mounted FPS, Quick Charge 4.0+, Wireless charging, 5G, 4G LTE, NFC, AAC/aptX/aptX-HD Audio, etc. 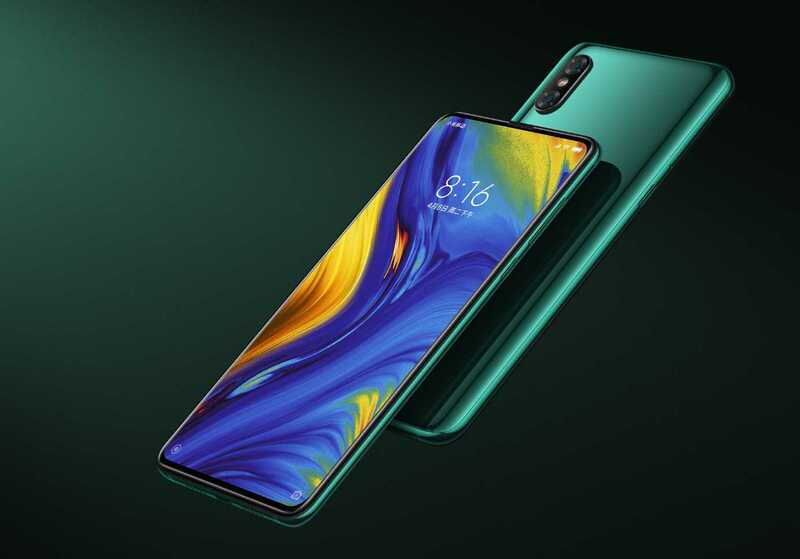 Xiaomi Mi MIX 3 rocks a beautiful ceramic back that has three finishes of Jade Green, Onyx Black and Sapphire Blue. To do away with the notch, you get a sliding mechanism that reveals a dual-lens front camera. But unlike the Oppo Find X whose slider depends on a motor to move up and down, the Mi MIX 3 has a magnetic slider that relies on your hand to move it up and down, thus reducing the chances of damaging the mechanism. The display panel used on the Mi MIX 3 was sourced from Samsung, meaning you are getting the best in class. However, you still have to deal with a 1080p resolution, but this shouldn’t be a problem for most people. Xiaomi also says the phone has a screen-to-body ratio of 93.4% and in case you hadn’t noticed, the MIX 3 becomes the first smartphone in the world to rock a massive 10GB RAM module. An overkill, maybe? The Mi MIX 3 comes preinstalled with Android 9 Pie and MIUI 10 on top, the latest versions available in town. Xiaomi will not be available for purchase in China until the first day of November 2018. While the device is expected to go global, the time frame is still unknown. Looking at previous releases in the Mi MIX series, though, most markets should get the device beginning late November and in December 2018. The current price info is related to the Chinese market, but the device’s local pricing should give us a hint of what to expect when it comes to a shop next door, as seen in the table below. Usually, it is the new stuff that drives people to buy a new phone and the Mi MIX 3 has several firsts, which we’ll share with you below. Samsung has the best-in-class AMOLED display panels, which is why even Google went with Samsung Display for the Pixel 3 XL display screen that is being hailed as the best in the business instead of the issue-prone LG OLED panels used on the Pixel 2 XL. With a Samsung-made Super AMOLED panel on the Mi MIX 3, it shows Xiaomi means business. While the Mi MIX 3 becomes the first in the MIX series to rock an AMOLED screen, Xiaomi already used similar Samsung-made Super AMOLED panels on the Mi 8 family (apart from the Mi 8 Lite). With all said and done, expect the best display quality on the Mi MIX 3, even with the 1080p resolution. 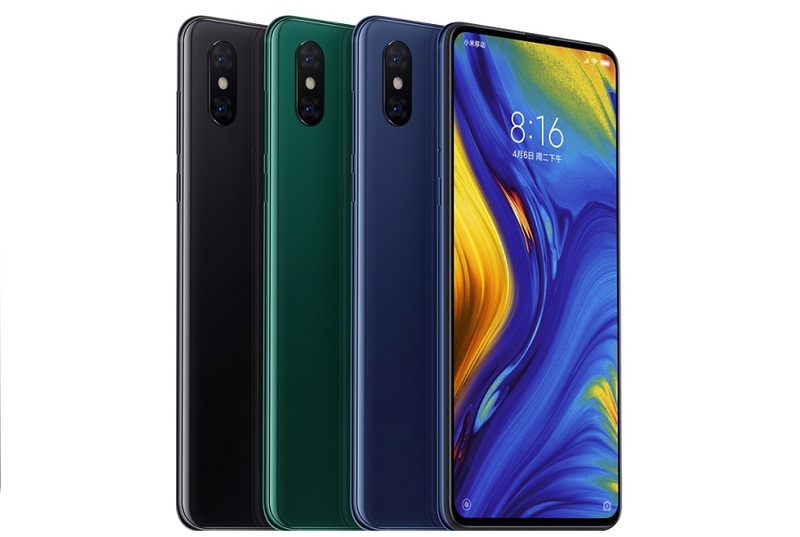 It can rightly be claimed that the Oppo Find X inspired the design of the Xiaomi Mi MIX 3. However, unlike the former, the latter’s slider doesn’t rely on a motor to move up and down, but you only need to slide it up and down using your thumb, just like old times. 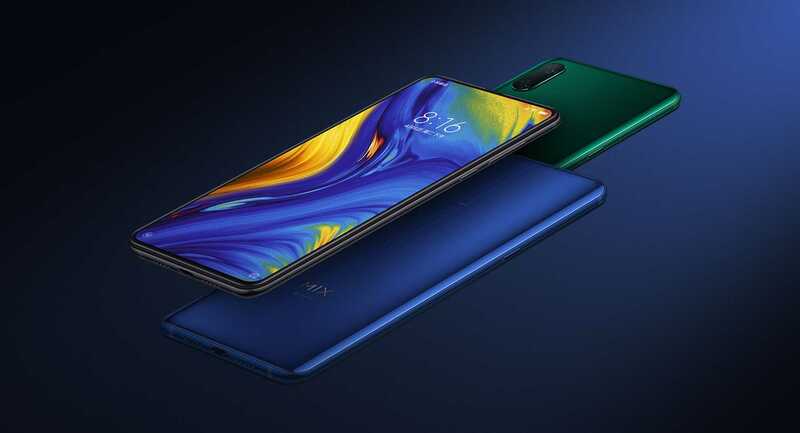 Of course, all this was done to eliminate the notch and bezels and indeed, Xiaomi just gave us what is easily the best-designed smartphone in the notch era featuring an amazing screen-to-body ratio of 93.4%. Over the past couple or so years, we have seen smartphone RAM modules jump from a standard 3GB to a massive 8GB RAM, but as usual, Xiaomi is pushing the boundaries of what is possible by equipping the Mi MIX 3 with a massive 10GB RAM module. Whether you need such massive RAM on a phone is a question of preference, but from where we are seated, this is just insane! But hey, if you need it, Xiaomi has one for you, although it might not be easy getting hold of this one, especially for fans outside China. In addition to the support for Qualcomm’s Quick Charge 4.0+ and the standard 18W Quick Charge 3.0 fast charging technologies, the Mi MIX 3 further picks up from where the Mi MIX 2S had left off by including support for 10W wireless charging. Xiaomi says the charging power of the Mi MIX 3 has increased by 30% compared to the Mi MIX 2S, something that should be welcomed by many considering how small the 3200mAh battery unit looks compared to the size of the device it powers. For comparison purposes, the OG Mi MIX, which has a same-size display screen as the Mi MIX 3, has a 4400mAh battery unit. The Mi MIX 3 goes down in the books of history as the first from Xiaomi with a dual-lens selfie camera. The 24MP + 2MP sensors are part of the mechanical pop-up, with the latter acting as the depth sensor. Given that the Mi MIX 3 has recorded some impressive scores on DXOMark, you can expect excellent photography from the device. To make sure that it stays among the best in class, Xiaomi has included support for slow-motion video recording of both HD (720p) and FHD (1080p) videos at 960fps on the Mi MIX 3, which is pretty impressive. Unlike some other expensive phone from a well-known vendor, MIX 3 also includes the ability to record 4K videos of up to 60fps. Samsung has a dedicated Bixby button on its high-end phones and LG has a similar button that triggers the Google Assistant. Well, Xiaomi wants in the fun and on the Mi MIX 3, you’ll come across a dedicated AI button that can be customized to your own liking. Whatever it does, the fact that it can be customized is what makes this button interesting. Prior to its official launch, we saw several teasers of the Mi MIX 3 being the first in the world to support 5G connectivity. Well, there won’t be one available in stores until early 2019 and it will be directed to the European market. Of course, not so many markets are 5G ready, so this will be a limited edition. Update [Dec 6, 2018]: Xiaomi has made it official. The 5G variant of the Mi MIX 3 arrives in early 2019 as previously pointed out, with the only major tweak being the new Qualcomm Snapdragon 855 processor to replace the SDM845 in the standard model. As for the rest, you should get the same phone as what we already knew about. At its official unveiling, Xiaomi demoed the new 5G technology that is said to achieve speeds of up to 2Gbps thanks to the new Snapdragon X50 modem that works hand-in-hand with Xiaomi’s antenna switching technologies to achieve these speeds. So, really, what are your thoughts on the Xiaomi Mi MIX 3? Drop them in your comments below.